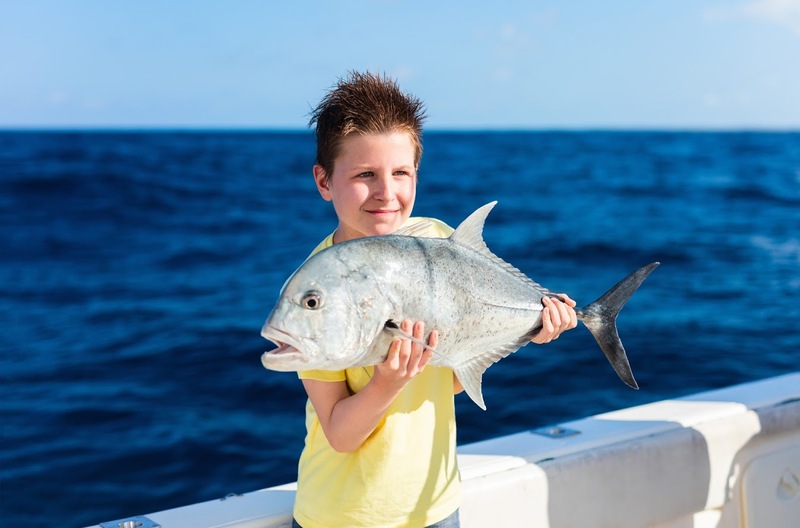 If you’re planning on taking your boat out for an enjoyable deep-sea fishing expedition, you want to make sure you are well prepared for the occasion. This way, you can plan on spending the time enjoying your catches, rather than worrying about running into trouble. Advances in technology and boat designs have made it so you no longer need a 45-foot, quad-engine Sport Fisherman to enjoy the sport of deep-sea fishing. Now you can feel confident making the trip in a small center-console boat. Do be sure to make the proper preparations and bring the right equipment and supplies. When you head out for that deep-sea fishing adventure, ensure you won’t run into fuel issues. Follow what is known as the Rule of Thirds. With the Rule of Thirds, you’ll calculate the distance you can go without burning more than a third of your fuel supply. Verify you’ll have a third left for your return to land and a third kept in reserve. The third you have in reserve will ensure you’re covered in case the weather changes in a way that would slow you down and burn more fuel. Also, the reserve will be there should you need to change course. Check the weather and find a forecast for three days of nice weather in a row. Download the forecasts to your onboard electronics so you’ll be kept abreast of any changes in the weather right away. Plan on making your trip so you’ll be fishing during midday. If you see the forecast changing frequently before your trip, it’s best to reschedule. Bring life preservers for every person on the boat, a high-quality life raft, a toolbox stocked with basic tools, waterproof strobe lights, a large first-aid kit, sea-sickness medication, immersion suits for everyone, flares, a satellite phone, a sea anchor, and a long, heavy-duty rope. Even if you don’t plan on anchoring, the rope is a must in case you need a tow. Make sure you have an emergency position-indicating radio beacon (EPIRB). An EPIRB is a homing device that’s activated by an accident. When the EPIRB is activated, a distress call will be sent out at frequencies monitored for distress calls. Bring a GPS device that provides you with water temperature readings, a very high frequency (VHF) radio, and a fish locator. An 8-foot whip antenna is a good choice for small to medium center consoles. Choose a compass that features a good nautical chart you can count on if something goes awry with your GPS. A compact spare battery will fit easily in smaller boats and can power the electronics for hours should you experience battery issues. Sunscreen will be a lifesaver on the water, and don’t forget the ChapStick to fend off wind-chapped lips. Also, hats and sunglasses for everyone will be appreciated once you’re out on the water. Bring plenty of drinking water and easy-serve food. Beef jerky makes a good snack because the protein will help you feel satisfied longer and give you energy. Don’t forget all your comfort items like beach towels, books, a deck of cards, and some board games. Make sure to bring a waterproof camera to document the adventure and get proof of those impressive fish. Contact Petzold’s Marine Center if you are in the market for a new boat. We have a large selection of many types of boats, so you can choose the one that gives you everything you are hoping for and more. We can also help you with boat servicing and get you the supplies you need.